The tale of Wukan village is not an uncommon one in China. Rural farmland is constantly taken by corrupt village officials for real estate development and the villagers – the owners of the land through the collective – receive little to any compensation. For certain Wukan’s story is a little different from other run-of-the-mill land taking protests: the length of the protests (close to three months), the unity of the group (close to 20,000 villagers), the complete expulsion of the Chinese government from the village, the death of a protest representative in police custody, and the attention from the western media distinguishes Wukan from other taking protests. But now that it appears that the villagers and the provincial government have reached some sort of agreement, has Wukan ended differently from other protests? Some China watchers have argued that it has and see Wukan as the general populace’s deepening understanding of its rights under the law and its willingness to fight for those rights (see here and here). But given the discriminatory structure of China’s Real Property Rights Law (“the PRL”) and the Land Administration Law (“the LAL”), one hopes that these villagers are not really fighting for their rights under the law as it stands now. As Prof. Eva Pils points out in “Waste No Land: Property, Dignity and Growth in Urbanizing China”, China’s property laws have been written specifically to render villagers into “second class property rights holders” and permit their land to be legally taken for urban development. The below summarizes much of the article and views the Wukan protest in light of Prof. Pils’ analysis. As a nominal communist country, land cannot be privately owned in China. The PRL, passed in 2007, maintained that distinction. Instead, the land is owned publicly; in urban areas, the land is owned directly by the state; in rural and suburban areas, the land is owned by the village collective, usually through the villagers’ collective economic organization or the village committee. This difference in ownership between urban land and rural/suburban land is not just limited to who owns the land, but extends to what individuals can do with the land. Although not directly owned, individuals are able to own certain usage rights associated with the land that they occupy. These land usage rights differ depending on the underlying ownership of the land – if it is owned by the state or if it is owned by the collective. In urban areas, these usage rights include the ability to live on and to construct non-primary residence buildings on the land (known as “construction rights”); rights to the land can last for 70 years in urban areas. As a result of the ownership of these “usage property rights” and the fact that these rights last for 70 years give urban residents the ability to buy, sell and lease their usage rights, providing somewhat of an appearance of actual individual ownership. But in rural areas, the usage rights are much more restricted and this is where the problem first begins. First, villagers are pretty much limited to one type of usage right: the right to farm (there are other rights, such as the right to building housing). Under the LAL, which was adopted in 1986 and last amended in 2004, this land use right cannot be transferred or rented for “non-agricultural construction.” (See LAL Art. 63). Urban land use rights have no such restriction. The Property Rights Law (“the RPL”), passed eight years later, continued the limitation on rural usage rights. Furthermore, rural land use rights are limited to 30 year terms. As a result of these restrictions, there is no free flowing market for the sale of rural land use rights – real estate companies interested in building a housing complex in a suburban area do not go directly to the owners of the rural land use rights; all they would be able to purchase is the right to farm the land (note that Prof. Pils does discuss the illegal minority use rights market between the farmer and the real estate investor). Instead, where a real estate company is interested in building a housing complex or a factory in a rural area, the land must first undergo a transformation from a rural (where usage rights are limited to agricultural purposes with 30 year terms) to urban land (with “construction usage rights” for 70 years). To undergo such a transformation, the land must go from being collectively owned by the villagers to being state-owned. Under Article 60 of the PRL, it is the “village’s collective economic organization” or the “villagers’ committee” that acts on the villagers’ behalf, negotiating the compensation for the villagers’ land use rights. As Prof. Pils points in her example of the Nongkou village in “Waste No Land,” the village committee itself often acts in its own interest, not that of the villagers. It appears that in the case of Wukan, the village committee was not representing its constituents; part of the reason that the Wukan villagers deposed of its government was the allegation that the village committee was corrupt and not reflecting the interest of the villagers. The first problem for villagers is the fact that the law leaves them with second class property rights – usage rights that can never be sold for non-agricultural purposes, necessitating the expropriation of the land by the village committee. But the second major issue is that the compensation villagers receive – if they receive anything at all after the village committee is done with the transaction – is nowhere near what is being paid for the transformation of agricultural land into urban land. Under Article 47 of the LAL, when agricultural land is expropriated, compensation is “made according to the original purposes of the land being expropriated.” As a result, farmers are only entitled to compensation of the value of what they would have farmed over the remaining life of the 30-year lease rights (there are also other compensation other than the value of the land use right, such as resettlement fees but the largest part of the compensation package is for the land use rights). The villagers themselves do not reap the benefit of the market value of the underlying land or even the full value of what they are relinquishing. In fact, as Prof. Pils notes, for most villagers, the compensation is a mere 5% to 10% of the value of transforming agricultural land to urban land. Article 49 of the LAL requires transparency to the village regarding money received by the collective for the land, but as the Wukan protesters point out, they had little knowledge of anything that was going on. Furthermore, any complaint regarding the amount of compensation occurs after the compensation plan has been set (see LAL Article 48), making one wonder – what can really be done after the fact. Again, as Prof. Pils notes, because the compensation schedule is considered an administrative decision, it is not subject to judicial review, leaving the villagers with little legal recourse to contest the compensation (although petitioning always remains as an option). Compensation appears to be a major in the Wukan protest. As part of the brokered settlement between the villagers and Guangdong provincial officials, the low-level of compensation will be reconsidered. (See China Media Project’s translation of a Nanfang Daily article). Hopefully, the villagers will be able to recoup some of the value of the actual transfer of the land to urban use and not just the value of their agricultural land use rights. The third and biggest challenge to being a villager in rural China is the expansive definition of “public interest.” Takings of rural land against the villagers’ wishes are legal in China if it is done in the public interest. In January 2011, the State Council promulgated new regulations (in Chinese here) better defining “expropriation for the public interest.” But those regulations were limited to state-owned land, or in other words, urban lands. In the countryside, what is the public interest remains intentionally vague. So What Happened in Wukan? Wukan is not an example of villagers seeking their rights under the law. 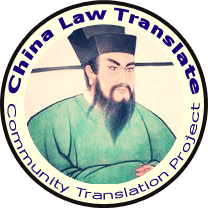 China’s property laws – the PRL and the LAL – provide little rights to villagers. But there is certainly something happening here….I’m just not so sure what it is and perhaps it is still too early to determine if Wukan is in fact a harbinger of something more. Protests in China against rural land takings and the lack of just compensation occur on an almost daily basis. But in Wukan, these protests were large, public and extreme. Add to the mix that one of the protest leaders died while in police custody. On some level Wukan had the potential to end differently, to end violently. But it didn’t. Instead, the provincial government stepped in to admonish the local officials (although interestingly enough such punishment is going to happen outside of the legal system and under shuangguai, the Party adjudication method – see Nanfang translation), praise the villagers, admonish against further protest and agree to provide greater compensation. But how often can the provincial or central government step in and continuously calm these tensions? Arguably the government must recognize that it is the structure of the law itself that leads to such discontent. But such a discriminatory law is necessary to provide for real estate development, an increasingly important part of China’s GDP. Will the government change this paradigm and provide equal property rights to villagers? Right now it is unclear. Wukan seems to have ended in the same way as all of these protests do. But perhaps this time the central leadership will realize that constantly involving itself in these local protests is unsustainable. ← This is Not Your Daddy’s China – Or Is It?